Being a chiropractor that focuses on pediatrics I am often asked, “Why Would Children Need Chiropractic?” The answer is quite simple once you understand why a chiropractor does what it is that we do. We don’t adjust people to get rid of their headaches, back pain or neck pain. We adjust people to help reconnect the mind and body. The brain (which is the master control system) is connected to the body via the nervous system. Chiropractors evaluate spinal function because it has direct connections and influences on the nervous system. The nervous system runs and influences every other system in the body. The respiratory, digestive, endocrine (hormonal), reproductive and motor (muscle) systems are all under direct or indirect control of the brain and brain stem via the nervous system. The brain is like the master computer sitting up in the head. Unfortunately the body is not wireless, it needs to be plugged in via cords to the brain, the spinal cord and nerves. When the spine mis-aligns, which is called a subluxation, it interferes with the signals coming from the brain, telling the body what to do, and from the body, telling the brain what it needs. Ever have someone give you directions on a cell phone fading in and out of reception? If you miss an instruction, you probably wouldn’t get to your destination would you? Or maybe the direction came later than it should and you missed the turn. Not a successful outcome in any sorts. When the body and brain have miscommunications things start to go awry. Knowing all of this it starts to make more sense why a young one might go to a children’s chiropractor, right? Birth is one of the most traumatic events a baby and mother will go through. Even a “natural” birth, the person delivering the baby can put up to 40 lbs of pressure pulling, turning and bending the neck of the newborn to get the shoulder through and deliver the baby as quickly as possible. Many times a baby can be injured during this process. A good way for a parent to tell if their baby is having a problem that may be spinally related, is they may be having trouble consoling the baby, the baby’s head may be turned or tilted in one direction more than the other. The mother may also notice that the newborn nurses better on one side than the other. The child may be colicky or get sick frequently. Studies have been done specifically citing atlanto-occipital instability (aka upper cervical subluxation aka misalignment of the upper neck) as a primary cause of SIDS. 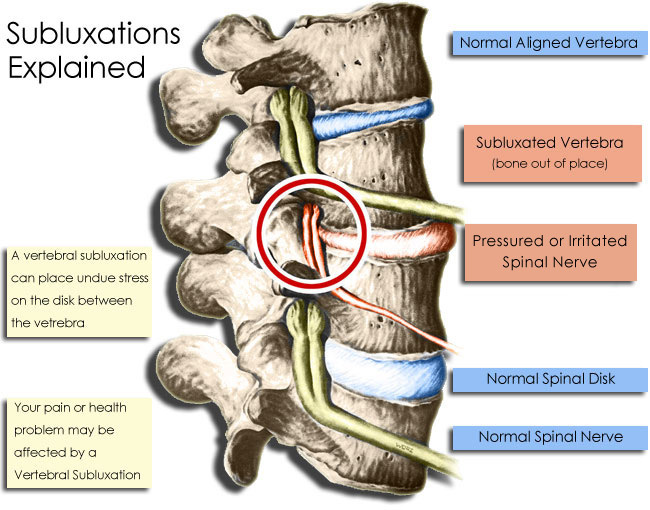 You can read more about subluxations and SIDS here. This was the case with Josi. Her mother brought her in after seeking our help while she was pregnant with her. 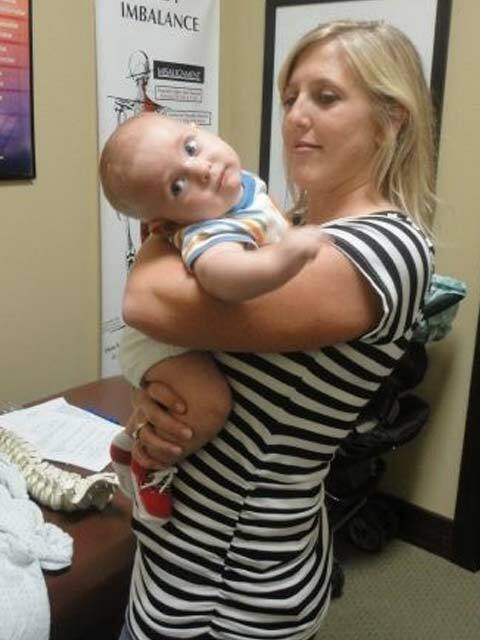 Her midwife had told her that the baby may be breach and it would be a good idea to seek out the help of a chiropractor that specializes in prenatal care. Josi was born head down, naturally with no complications. Her mother began to notice that she was a bit fussy though and tended to turn her head to the left and nurse with more facility on her right breast. So she brought her in 2 weeks after her birth. After her first adjustment Jozi no longer turned her head to the left or seem to have preference of side to breast feed from. 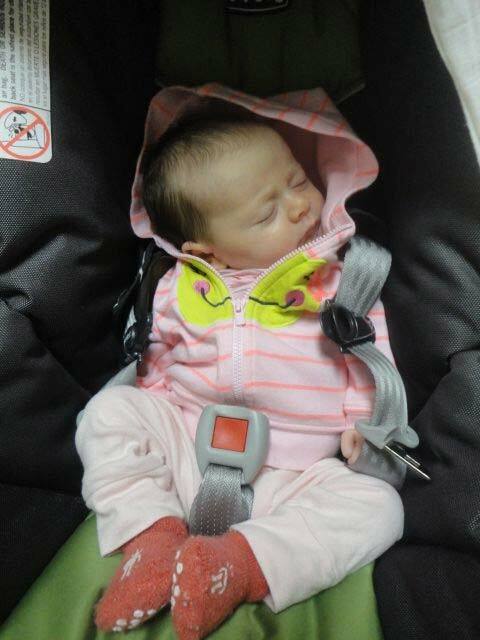 Both parents noticed that she was much more tranquil, slept better and did not fuss as much. Then came Jack. Jack would arch his back exaggeratedly and it worried his mother. The medical doctors told her it was of no concern and he should grow out of it. She brought him to us for a second opinion. Within a few adjustments he no longer adopted the arched back position (which can be caused by tension on the spinal chord). His mother began to get checked in our office as well. One day she had an appointment and Jack did not, but our office manager noticed he visibly had a cold and told her to have us check him. He needed an adjustment that day. 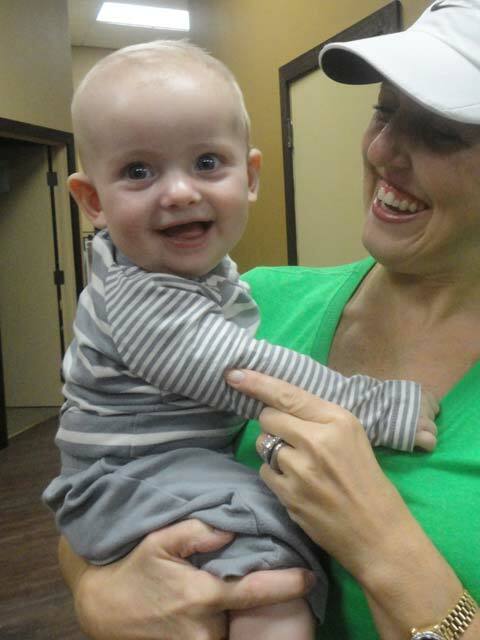 His mother was amazed how immediately he got better after that adjustment! Their whole family now comes in regularly to get their spines checked. Now let’s move on to the toddler years! 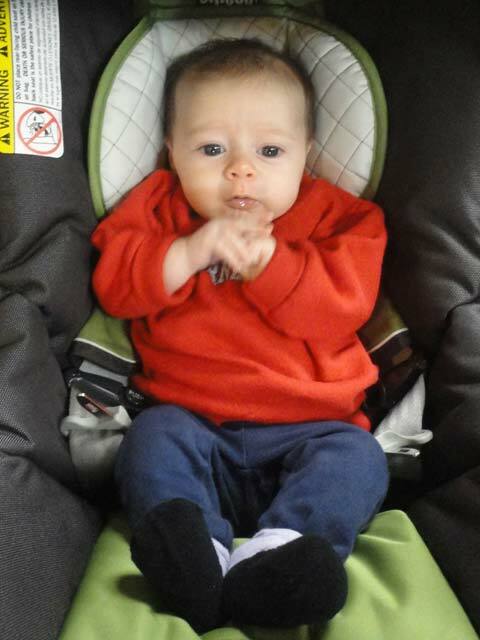 The baby begins to learn to walk. The American Journal of Pediatrics estimates that a toddler will fall 5,000 times during this process. Then come the years when they learn to ride bikes, climb trees, jungle gyms and swings. How many times has your child ran to you screaming and crying because of a fall? Too many to count right? Now I’m not saying all of these cause a misalignment or subluxation in your child’s spine, children are very resistant and can many times bounce back, but sometimes they won’t. Sometimes the trauma will stay in the spine. Then the brain body communication can be altered and their body is not functioning at 100%. Something you can look for in a child once they get older is to observe their posture. Check and see if one shoulder is higher than the other, or that maybe their hips are off. If they have any of these indicators take them to your family chiropractor and get them checked for vertebral subluxation. Having their spine checked can prevent them from many of the spinal problems as adults. A small problem in childhood can become a massive problem in adulthood. Please call us to schedule a children’s chiropractic exam:1-512-452-7681.